The death of an international figure often invites a raft of revisionism: an effort to interpret the person’s legacy in terms that suit political or ideological prejudices. Recent commentary over the passing of an evangelical leader, the Reverend John Stott, exemplifies this vice, perhaps most grievously in an essay by New York Times columnist Nicholas Kristof. Whatever the intent, it was a “tribute” typical of those that degrade rapidly into mere propaganda. The “Evangelical Pope,” the late Reverend John Stott. A longtime Anglican minister at All Souls, Langham Place in London’s West End, Stott was one of the world’s most influential figures in evangelical Christianity over the past half-century. He was a key framer of the 1974 Lausanne Covenant, a touchstone document in the rise of global evangelicalism. He wrote nearly 50 books, and his preaching and teaching reached beyond England and the United States into the developing world. He died in July at the age of 90. But to suggest, as Kristof and others have done, that Stott interpreted the mission of Jesus as a call to social justice — as if Christ was crucified for his jeremiads against global warming — is to belittle the heart and soul of his ministry. For Stott, clear thinking about contemporary problems began with a belief in the Bible as God’s Word and in Jesus as his Son, come to earth to rescue humanity from its guilt and shame. In his 400-page commentary on the New Testament book of Romans, he calls this “the most humbling and levelling of all Christian truths”. Stott urged this truth upon his audience repeatedly, in every culture and country in which he ministered. He was devoted to the controversial task of evangelism — the task of persuading others that their eternal happiness depends on their belief in Jesus as their Saviour. 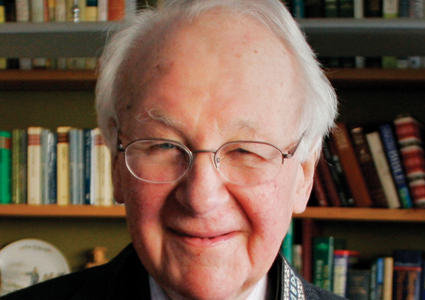 John Stott allowed the teachings of Jesus to transform his ideas about justice and mercy, even if it brought him criticism. It would be heartening to see more liberal elites do the same. At the very least, they might venture out of their echo chambers for a moment, if only properly to honour the dead. Joseph Loconte, PhD, teaches history at The King’s College in New York City. His forthcoming book, Stranger than Paradise: A Conversation about Heaven, Hope, and the End of History, will be published by Thomas Nelson.